The T2265+ is undoubtedly at the pinnacle of serial dot matrix printing, representing the peak of performance in its respective speed segments. 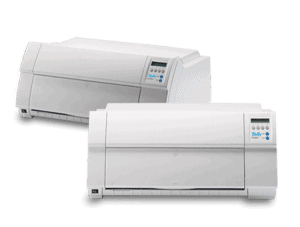 It is not just ‘sprinters’; reliable, heavy workload output is guaranteed for the many years following its purchase. The print is crisp, sharp, dark and absolutely legible, thanks to the 24 pin print head. Fully automatic operation instills operator confidence and virtually eliminates errors caused by poor user intervention. Front feed provides all the benefits of easy forms installation, coupled with reliable paper transport. Thick media handling of up to 9 copies can be achieved with the T2265+MC version built with special Multi-Copy printhead. This rugged dot matrix printer is well matched to Microsoft Windows applications, and entirely suited to other host operating environments, including legacy systems. 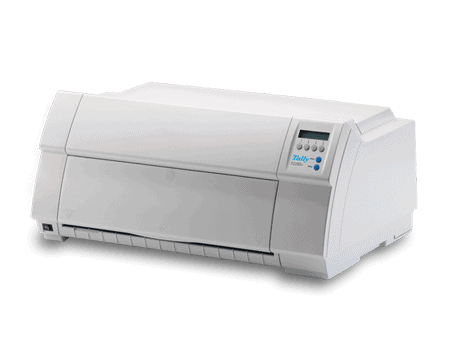 The Tally T2265+ dot matrix printer is the first high speed matrix printer to incorporate Ethernet on-board.